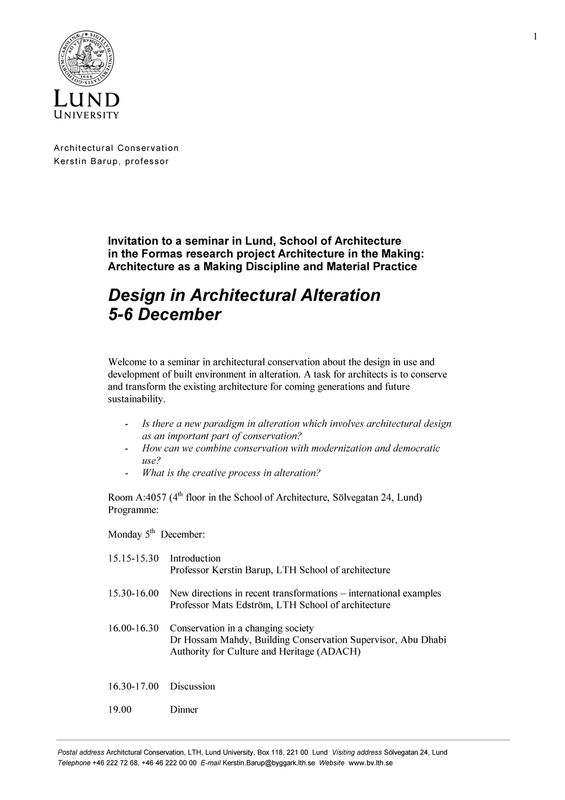 A seminar in architectural conservation about the design in use and development of built environrnent in alteration. A task for architects is to conserve and transform the existing architecture for corning generations and future sustainability. Is there a new paradigm in alteration which involves architectural design as an important part of conservation? How can we combine conservation with modernization and democratic use? What is the creative process in alteration?